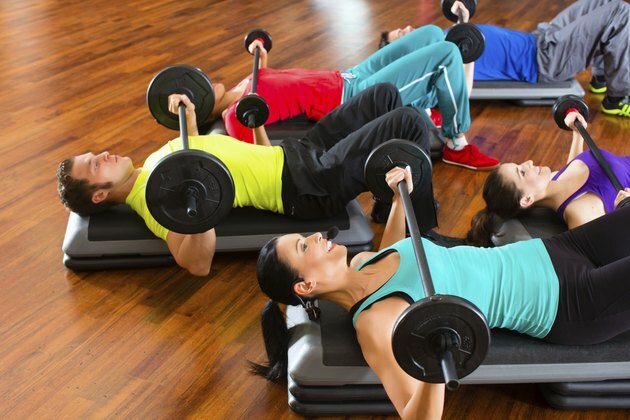 Weight lifting can include any activity that involves making a movement with your body against some type of weight. Its primary purpose is typically to develop strength and power, although weight lifting also burns calories. Standard formulas can calculate your calorie expenditure for any type of exercise, including weight lifting. The most important indicator of your calorie expenditure during weight lifting is your heart rate. 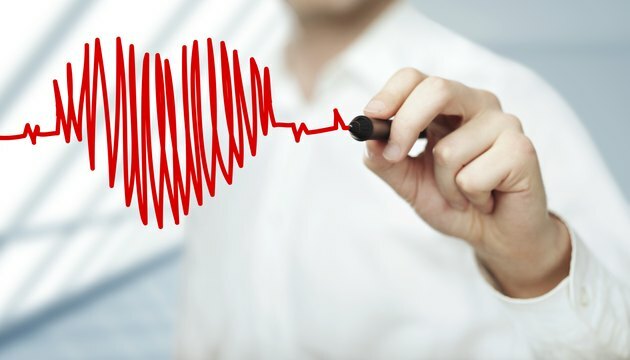 Heart rate has the closest relationship with your calorie expenditure rate when your heart rate is within the range of 90 to 150 beats per minute. 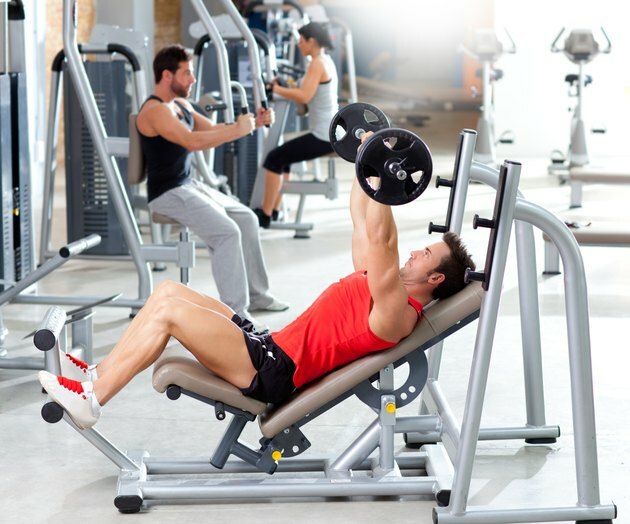 You should therefore keep your heart rate above the minimum of 90 beats per minute during your weight lifting session. Put your heart monitor on and perform some type of warm-up exercise to elevate your heart rate above 90 beats per minute. Start the recorder on your heart monitor and begin your weight lifting session. Rest as little as possible between sets to keep your heart rate elevated. Stop the recorder when you complete 30 minutes of weight lifting. The recording function on your heart monitor will provide your average heart rate during the 30-minute weight lifting session. Your gender will determine the specific calorie expenditure formula to use. Formulas available from the Journal of Sports Sciences provide the calorie expenditure calculations for both genders. Men use the equation Calories = [(0.6309 x average heart rate) – (0.09036 x weight) + (0.2017 x age) – 55.0969] x time / 4.184. Women use the equation Calories = [(0.4472 x average heart rate) – (0.05741 x weight) + (0.074 x age) – 20.4022] x time / 4.184. Harvard Medical School's website provides calorie expenditure estimates for weight training. A 30-minute weight-training session burns about 90 calories if you weigh 125 pounds. If you weigh 155 pounds, the same weight-training session will result in 112 calories burned. 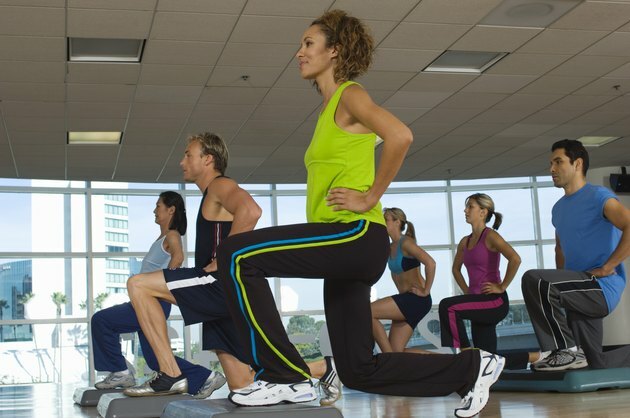 Aerobic exercises burn calories at a notably quicker rate than weight lifting.